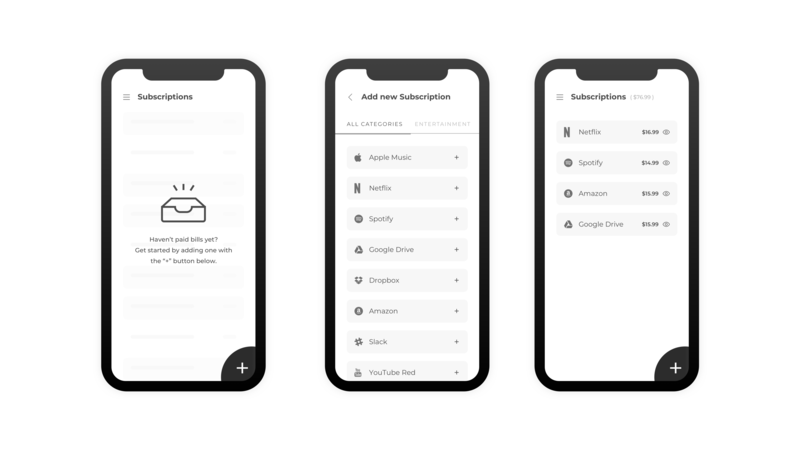 Brief: To design a subscription management app to keep track of expenses! It’s Disruptive Thursday and today’s disruption is to design something with just a few shades of grey! 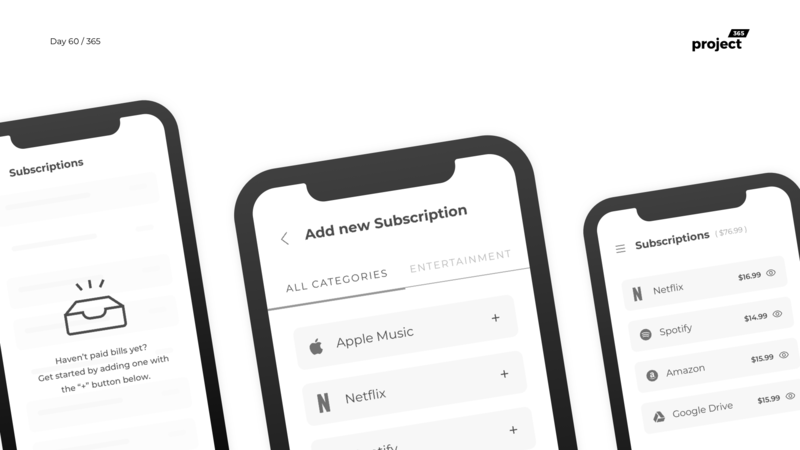 Here’s a subscription management app, that lets you view/add/manage your monthly & yearly subscriptions with popular services out there. You can keep track of the money you spend, Set a budget and work accordingly!